We are a customer focused Zimbabwean pest control services and management company in Harare and Zimbabwe. Pest Portal prides in providing a domestic, commercial and industrial pest and fumigation services experience to current and future customers. Our services are provided to residential homes, commercial businesses, health care facilities and public schools. We also offer pest services to colleges, food distributors, warehouses, food processors, logistic companies and more types of businesses. Do you have a pest problem of ants, aphids, bed bugs, bees, cockroaches, fleas, moths, snails and slugs? Or you have flies, mosquitoes, rodents (rats), snakes, beetles, weevils and centipedes? We control all these pests including earwigs, crickets, moths, paper lice, spiders, silverfish, woodlice, army worm to scorpions. Our role is therefore to protect your health and belongings from all pest problems. Pests are dangerous to your health, family and business. They can cause a lot of health issues to your family. 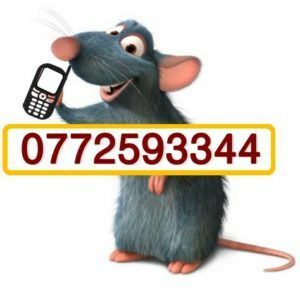 Moreover, pests like rats damage telephone and electrical cables and more items. Termites also eat boards and important expensive wood furnishings. As your fumigation services company of choice we therefore protect you. We would want to preserve the value of your investment. We offer guaranteed pest control Harare, elimination, extermination and fumigation services in Harare. The company will therefore correctly identify your pest problem. We will then provide best and pet, family and environment friendly pest control solutions. Termite Control & Treatment. Not only do we provide general nuisance pest control. We also want to protect you from termites. Termites damage property worth thousands and millions of dollars. As your pest control company of choice, we therefore correctly identify the source of the problem. After the proper identification, we will provide effective termite control solutions to your problem. Pre and Post Constructional Proofing. As part of termite control, it is also important to protect your investment. Do you need to have your new construction treated to prevent a future termite and ant attack? We offer crucial termite and ant control treatments that will help you avoid future problems. We use industry approved chemicals that have a long lasting impact. Preventative measures include spot treatments and fogging of termite nests. Humane Bee Removal Services. Do you have a bee nest or issue in your ceiling, tree or air vent? At Pest Portal, we do safe and humane bee removals. Bees are important in the ecosystem and we should do our best to save them. We are among the best pest elimination and extermination companies in Harare and other cities. You can use our fumigation services in Bulawayo, Gweru, Kwekwe, Mutare, Masvingo, Kariba, Victoria Falls and Chipinge. Our knowledge of pest types and behavior in Harare and Zimbabwe is well established. 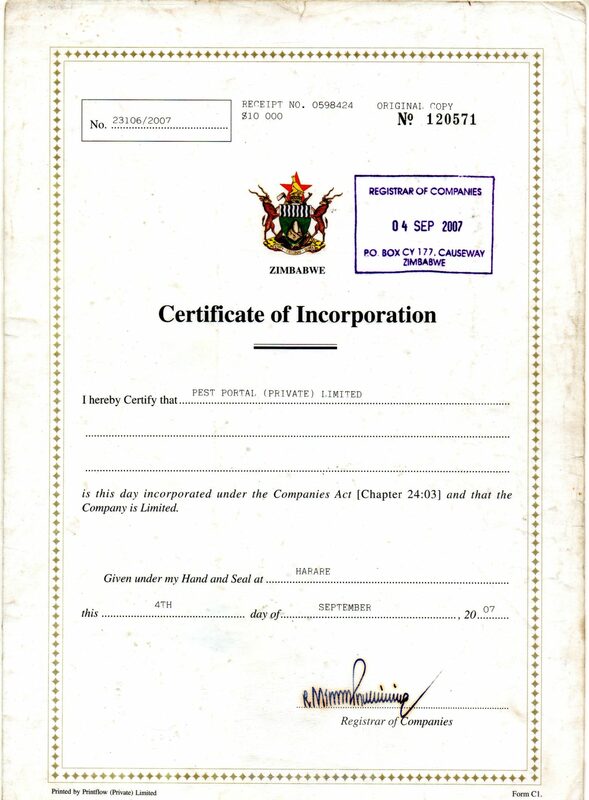 You can view our Certificate of Incorporation and Tax Clearance. Over these years, we have amassed a lot of pest management experience. We have therefore encountered a lot of pest problems and have been able to provide solutions that work. They say experience is the best teacher. We could not agree more. We use family, pet and environmentally friendly pest elimination and fumigation services products that will leave your house or property pest free. Some unregulated fumigation services products can make people sick or result in death. The pest extermination products we use are from reputable companies. We provide pest management, pest elimination products that are environmentally friendly. Chemicals can result in the poisoning of water bodies creatures and other animals. Our efforts therefore complement the Environmental Management Agency in Zimbabwe. We would want to give you a wholesome pest extermination services experience. This has led us to invest in a highly professional and well trained pest extermination team. This team will therefore handle your pest problems and give expert advice where necessary. Our Harare pest control team, led by the Chief Executive Officer also undergoes frequent customer, product and service related training so that they give you the best experience ever. To that effect, training has enabled us to keep abreast with changing fumigation practices and procedures. This has therefore helped us in customizing pest extermination solutions for individuals and companies. 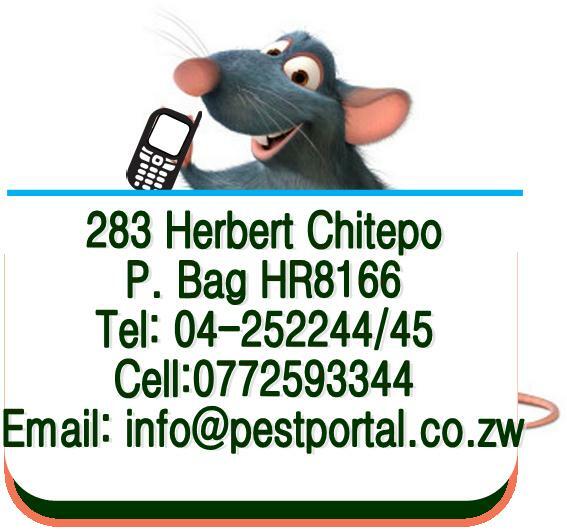 Do you have a pest problem in Matusadonha, Broomley, Mvurwi, Kadoma, Zvishavane, Shurugwi, Redcliff or Norton? Or you have got a serious pest issue in a thatched house in Dotito? No problem at all. We can send our pest elimination team to attend to you anywhere in Zimbabwe and you will be glad with the results. 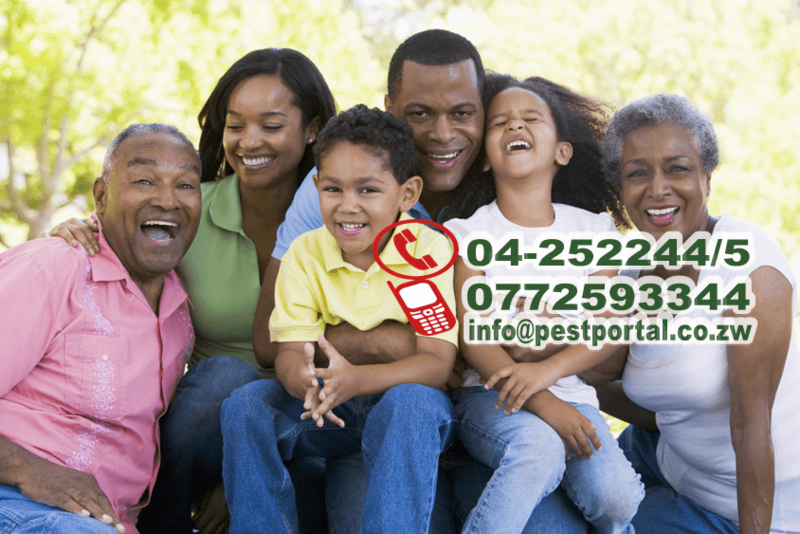 Pest Portal Zimbabwe is a nationally recognized pest extermination and fumigation services company , one of only a few reputable ones in Zimbabwe. This is because we subscribe to the highest possible standards in the Pest Management Industry. This therefore does not apply to the services itself. It also applies to the employees that we hire, to the types of products we use to provide services. You would not want the treated pest control problem to come back any sooner after a pest extermination or pest elimination exercise, would you? We offer lengthy pest extermination and pest elimination guarantee periods that will see you and family enjoying months and months without the pest problem. 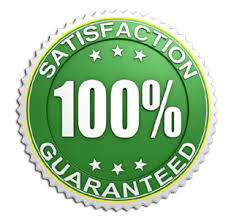 Therefore, in the event the pest problem re-appears within the guarantee period, our pleasure is in addressing it at no charge to your account!!! We are a pest control & fumigation services company in Harare. Call on 0772593344. We control roaches, rats, ants, mosquitoes and also do bee removals. Schedule for a free appointment today.